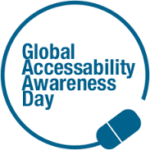 Global Accessibility Awareness Day 2016(GAAD) gives us time to reflect upon the history we’ve been making together in creating a digital world that is accessible to everyone, regardless of ability or disability. If accessibility for websites, software or other digital venues, is new to you, you may not be entirely aware of the long road this has been for those of us who live with disabilities. With a growing international focus on making sure that everyone can access information digitally, and the recent view by courts that this is a human right, not just a nice thing to do, it’s important to remember how digital accessibility used to be viewed, in the not so distant past. It wasn’t possible to develop websites and software to work for real people living with disabilities. The best we could hope for was to get digital venues to pass baseline accessibility tests through software. If at any point people living with disabilities were to be consulted in the development or testing verification process, their services should be offered at little or no cost. The reasoning behind this was because these individuals already received support from entitlement programs and would be the ultimate beneficiary from the digital improvements. Even as I type this, it’s hard to grasp the attitudes that shaped these outmoded beliefs. Taking into account that some of this was, no doubt, being driven by an industry that benefited financially from selling accessibility software, our little start-up company, stood up to make this argument: the software industry had been founded upon UX implemented with the assistance of non-disabled users. Why couldn’t the same principals and techniques be applied to accessibility with users living with disabilities? People living with disabilities cannot understand or adequately represent their own digital needs. It’s wonderful to note that this viewpoint is changing, both in regard to public policy and societal attitudes. Laws, rules and judgments internationally now include requirements to consult users living with disabilities in regards to their own digital accessibility needs. At WeCo, particularly in the past year, we are delighted and warmed by the reception a growing number of digital marketing firms, engineers and developers, are giving us by welcoming our testers into their development process. Unfortunately, the attitude that people living with disabilities, regardless of intelligence, education or desire to make their own living, should be happy to accept a financially limited and dependent lifestyle, continues to be a pervasive one. 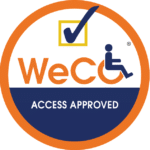 At WeCo, it’s extremely common for us, despite being an established digital consulting firm with skilled testers living with disabilities, to receive requests from organizations rationalizing why our testers should be providing services to them for free, or at a fraction of the cost earned by others who work in the UX industry. On this Global Accessibility Awareness Day 2016, we ask you to join us in gently reminding the world that people living with disabilities, just like everyone else, bring a unique skill set to the table. 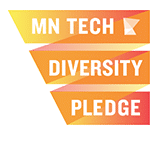 The “cap in hand” days are over and, with the dawn of technologies that connect us as human beings on so many levels, regardless of our capabilities, it’s time to move forward.